Wave selection was initially a wave that broke and then swelled out into deep water. My initial idea that sailboarding foil was the best way to introduce to foiling was corrected. 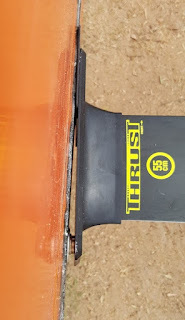 The best way is kneeling up SUPing. 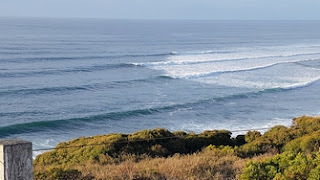 This is not the place that I surfed (it is Bells) but it gives you an idea of the swell that was available at the start of the trip. 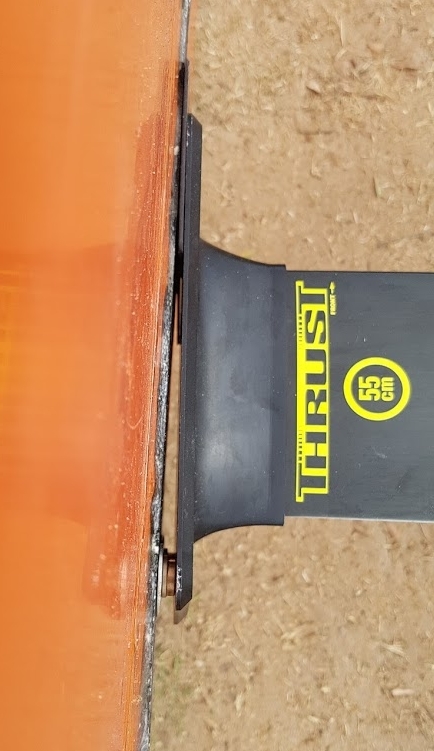 Here is how much the foil mast base had to be adjusted to correct for the kick in the tail of the board.